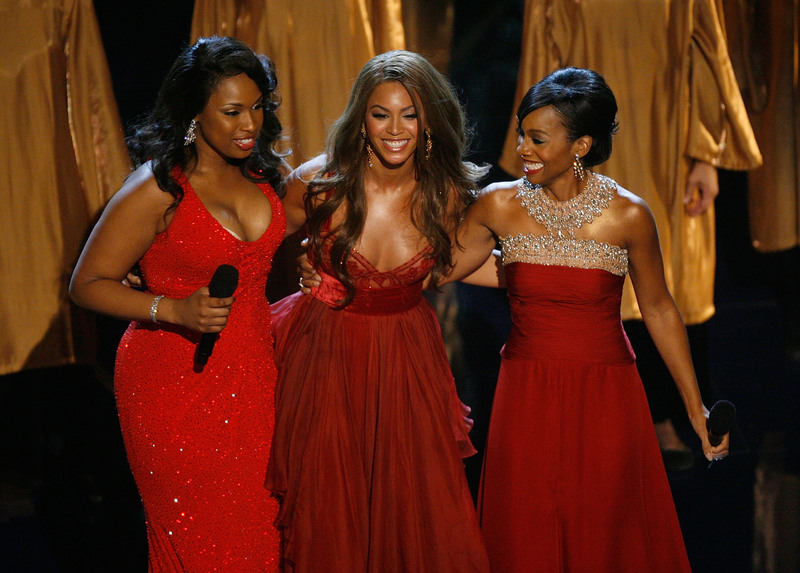 It's been 10 years since the release of Dreamgirls, which established Anika Noni Rose's film career, ensured Jennifer Hudson's place as more than just an American Idol contestant, and allowed for Beyoncé to give her best — and arguably most memorable — performance in a film to date. In short: Dreamgirls gave three singers the opportunity to shine on the big screen, and the world has never been the same. But, Dreamgirls isn't the only project to ever help singers transition into successful actors. Here are 17 singers who actually became successful actors. Since Dreamgirls took over the Holiday season in 2006, Beyoncé has left her movie career behind for the most part, but both Hudson and Rose have worked consistently in front of the camera, in both musical and non-musical roles. For Hudson in particular, Dreamgirls marked a huge leap in her career. Previously known solely as an American Idol contestant, Hudson won an Oscar for her role in Dreamgirls , officially making her a double threat. Of course, Hudson isn't the only singer that has gone on to have a successful acting career. These other 17 singers became successful actors in their own right, as well. Mandy Moore first burst onto the scene in the late '90s as a pop star — her debut song "Candy" is a classic. But nowadays, she's better known for her work on the screen than on the stage. With her leading role in This Is Us, which earned her a Golden Globe nomination, Moore is probably one of the more successful singers-turned-actors of the past decade. LL Cool J is a Grammy-nominated rapper, who just happens to be starring on a popular CBS franchise, NCIS: Los Angeles. Currently in its eight season, NCIS: Los Angeles, has helped LL Cool J become a household name for something other than his skills on the mic. Nick Jonas is currently in the midst of his transition from pop star (and tween obsession) to serious actor. Though his first steps into acting were less than successful (RIP Jonas), Jonas earned a spot on this list with his roles in Scream Queens and Kingdom. Cher is inarguably one of the most influential pop divas ever. She has also been nominated for two Oscars, winning one for Moonstruck in 1988. Since her Oscar win, she's mostly left acting behind, starring in only a handful of projects over the years, but that doesn't make her any less successful. Be honest, did anybody see Justin Timberlake going from *NSynch heartthrob to respectable actor? With credits like The Social Network and Inside Llewyn Davis, Timberlake's rise to movie star status is as impressive as it is surprising. Not everyone can go from rocking cornrows in a boyband to co-starring in a movie with Clint Eastwood, but Timberlake did. There is a generation that definitely has no idea that Ice-T was ever anything other tahn Detective Tutuola on Law & Order: SVU. Jennifer Lopez is a unique case because she became a star as both a singer and a dancer pretty much at the same time. That said, there have been a few moments throughout her career where her career as a singer has eclipsed her career as an actress. One Direction heartthrob Harry Styles is currently in the midst of making the transition from singer to actor. Whether or not he'll be successful remains to be seen, but the fact that he's making his big screen debut in Christopher Nolan's war drama, Dunkirk, is a pretty good sign. Who knew a member of NWA would help launch comedy franchises like Barbershop, Ride Along, and Are We There Yet? Say what you will about 50 Cent's level of talent as an actor, but you can't deny that he has had success. From his hilarious cameo in Spy to his starring role in Starz's Power, 50 has been dropping way more new acting projects than musical ones. Mark Wahlberg probably doesn't really want us to remember his days as Marky Mark, which only proves he's been incredibly successful at leaving his music career behind. Like his brother, Donnie Wahlberg made the leap from singer to actor. Nowadays, he juggles both with a starring role in CBS' Blue Bloods as well as a job touring and performing with the New Kids On The Block. Rihanna has been slowly moving towards making the jump from pop star to actress, with small roles in Battleship and Bates Motel. The next two years might just make or break Rihanna's acting career, with her first big movie roles — in Valerian and the City of a Thousand Planets and Ocean's Eight. After topping the charts with hits like "What's Your Fantasy" and "Get Back," Ludacris gave what will probably be one of his most memorable performances in the Oscar-winning Crash. Ever since then, the rapper has had steady jobs appearing in supporting roles in movies, most notably as Tej in the Fast & Furious franchise. Harry Connick Jr., like Jennifer Lopez, is one who rose to fame as an actor and a singer almost simultaneously, but, as he might be slightly better known as a singer, we'll put him on the list. After taking over country music, Tim McGraw decided to try his hand at acting, surprising audiences with his dramatic chops in movies like Friday Night Lights and The Blind Side. Since her starring role in Evita (1996), Madonna's acting career has pretty much fizzled, but let us never forget her performance (and iconic style) in 1985's Desperately Seeking Susan. Honorary mentions: Common (Selma), Britney Spears (Crossroads forever), and all the other singer/actors just trying to make their way in the harsh Hollywood world.